When I was finally ready to begin the process, I had no clue how to start wedding planning. I was getting lost in all the details that weren’t as important instead of focusing on what mattered most. Then one day the graphic designer in me said, “Why don’t we approach this like any other project we’d take on and work backwards?” So, that’s what I did! I asked myself some critical questions like how do I/we want to feel on our wedding day, what sort of atmosphere do we want to create for our guests, and I also thought about everything that was and wasn’t important to us. Having a beautiful location with mountains around us was one dream we had. We wished for our family and friends to experience what a summer day in the mountains was like. When the wedding venue that was just right for us presented itself we knew it was meant to be because it was exactly what we had envisioned! Once you visualize and externalize your desires you’ll be that much more prepared to design the wedding day of your dreams. I’ve gone over How to Make a Wedding Guest List, and once you’ve sat down and figured out your wedding budget—which is coming soon, what’s next is determining when and where to get married. Your date and wedding venue are one of the first big decisions you make to get the wedding planning process moving. But first, let’s help you clarify your wedding vision because it’s the best place to start! STEP 1: There is no right or wrong way to go about this but what you’ll want to do first is narrow down the time of year and the location you want to get married so you can start looking for venues that will fit your needs. Do you want to get married in your hometown? Are you dreaming of a destination wedding in the mountains or at the beach? Is fall your favorite season or would you rather get married when spring starts to set in? Those are some of the things that you’ll want to consider when narrowing this down. TIP: Many venues book 1 to 2 years in advance, so keep this in mind if you have your heart set on a special place. Depending on how far in advance you are planning and what season you want to get married, having a flexible date might be the best route to ensure you get everything on your wish list. Have 3 different dates to select from, if possible. STEP 2: After you’ve chosen the location (city & state) and time of year that you want to get married, you’ll want to narrow it down even further to the type of venue that will help you achieve your wedding goals. Are you looking to host multiple events over the weekend? Do your guests need a place to stay on site or would nearby lodging that is easily accessible be sufficient for out-of-towners? Is an outdoor wedding something you envision? Do you want a covered space as a backup just in case it rains? Is there room for a tent? When choosing a venue there are a lot of different factors to keep in mind and think about so clarify your wants and needs and have a list of questions ready to ask when you contact venues. 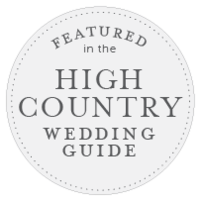 TIP: See if there any local wedding magazines or websites that have a directory with venue listings. Google will also be your best friend. Type in phrases using the location (city & state) and the words “wedding venue” to find available options. For instance, do a search for “Charlotte NC Wedding Venue” and see what comes up for you. You could also get creative and find venues that aren’t specifically used for weddings as another way to go. A park or campground could be just what you need. Or maybe a rental house that allows larger events could be a viable option if you’re having a more intimate wedding. Check homeaway.com to search for a vacation home. STEP 3: Scroll down, download, and print out the “Wedding Vision Planner Worksheets” and fill those out to help you clarify your vision even further. Save yourself time by finding out as much as possible before scheduling a wedding venue visit. There’s a lot you can discover by visiting their website and reading the details and information available before you make contact. Write down any questions that you want to remember to ask when you call. You can narrow down options based on amenities, price, capacity, noise ordinances, food restrictions, alcohol licensing, etc. The venue you choose will help set the stage for your entire wedding day so be sure to do your research before setting up a meeting with a potential venue. If you have any specific questions about how to decide when & where to get married or if you have any tips to add, please share. Just leave a comment below. I’d love to hear from you! Need more help with wedding planning? Here’s a post with 5 steps to start planning your wedding that will have some more quick tips! Next up in the “How To Start Planning Your Wedding Series“ is “Hiring a wedding planner vs. doing it yourself” and it will focus on the pros and cons of both. You’ll also get another set of worksheets as a freebie. My mission is to help educate you on the benefits of a wedding planner and how to find one that will fit your needs for your wedding day but I also want to offer tips if this isn’t in the budget! Subscribe to the Weekly Wander so you don’t miss any fresh content from the new series. You want to make a list that has at least three venues you can visit in-person (if possible). Some may require that you make an appointment so be sure to call ahead instead of just showing up. Keep in mind, when visiting these venues that you don’t have to necessarily be in love with everything about the place. After all, you’re not going to be living there! As long as it offers the space necessary and fits the requirements that you have it might be exactly what you need even though it’s not precisely what you want. Download these FREE printable “Wedding Vision Planner” worksheets to help you determine your wedding vision. Clarify what you are visualizing so that you can find the best venue to fit your needs for your wedding day! Click on the images below to download the worksheets. GET A FREE COPY OF THE 12-MONTH WEDDING PLANNING CHECKLIST WHEN YOU SUBSCRIBE! It’s a free gift when you sign up for weekly emails from me (your adventurous ally). Once you become part of the tribe and are subscribed to the Weekly Wander, you will automatically receive a download link in a welcome email! Click the image below OR sign up here!